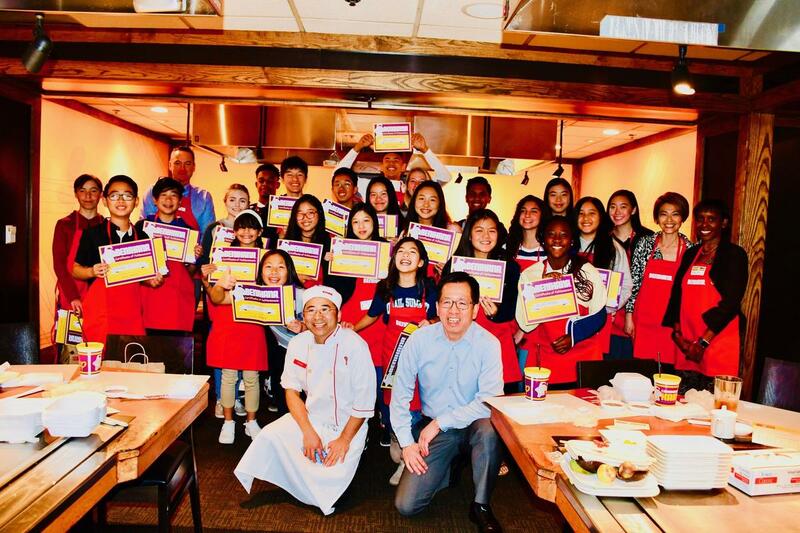 WALNUT, CA--Twenty-five Walnut Valley Unified School District (WVUSD) student leaders donned red chefs aprons during a sushi-rolling lesson held at Benihana Restaurant on Monday. The special culinary class held for the Superintendent’s Student Advisory Council included making an authentic California roll, history of sushi, and etiquette tips for successful Japanese dining. Students learned that it’s rude to leave chopsticks crossed on a plate, spear their food, or stick the wooden utensils upright into a bowl of rice. The group then practiced a few Japanese words including Ohayo (good morning), irasshaisase (welcome), kudasai (please), and arigato (thank you). Chef Taka offered step-by-step instructions as students assembled the inside out sushi rolls. They spread a thin layer of sticky vinegar rice with crab, cucumber strips, and avocado on dried nori seaweed sheets before rolling with a bamboo mat. 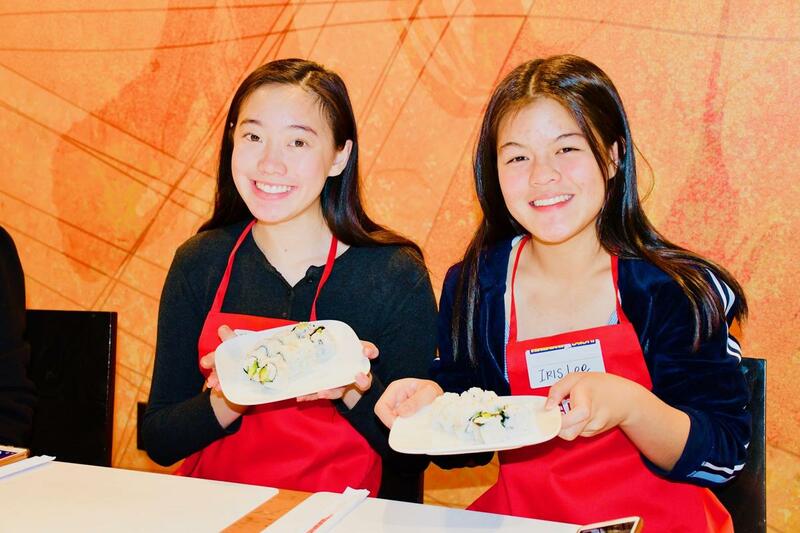 After the lesson, students dined on their sushi-creations and hibachi chicken lunch courtesy of the City of Industry restaurant. 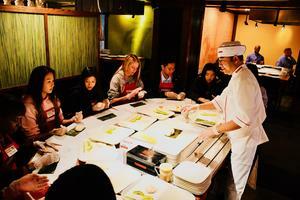 Each sushi-rolling grad received a certificate at the end of the meal. “I had so much fun today!” exclaimed Megan Tran, a fifth grader from Quail Summit Elementary. 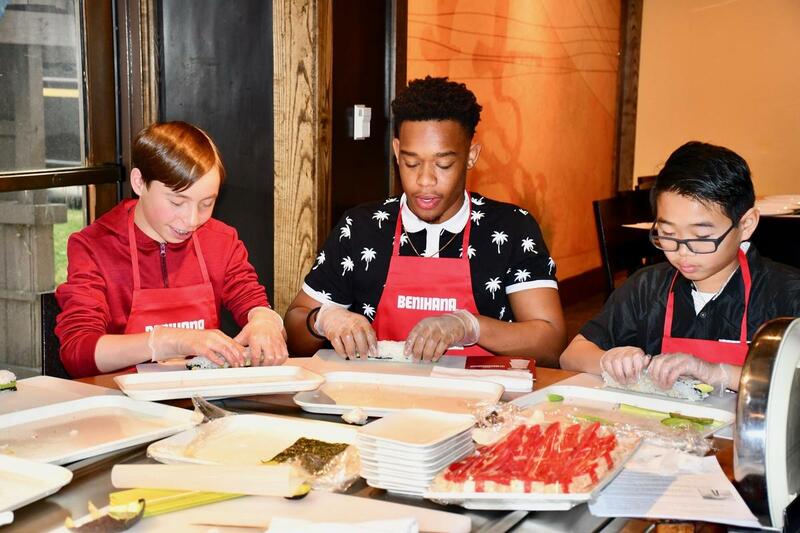 “This Benihana experience was by far one of the best school days I’ve ever had,” added Diamond Bar High senior Kai Smith. Benihana has been a valued WVUSD partner in education for over two decades. 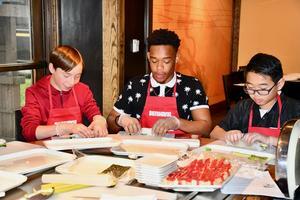 The WVUSD Superintendent’s Student Advisory Council learns to make sushi at Benihana Restaurant on Jan. 28. 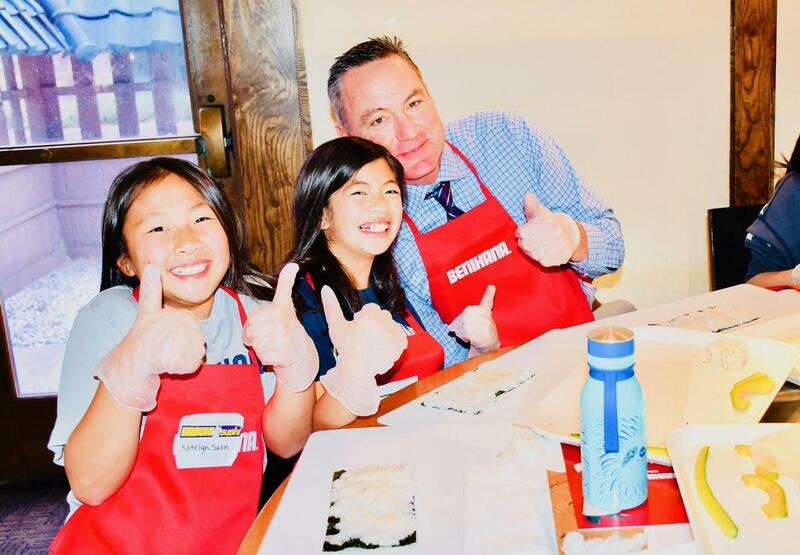 Superintendent Dr. Robert Taylor, Megan Tran from Quail Summit Elementary, and Katelyn Suen from Walnut Elementary give the Benihana sushi-rolling class a thumbs up!